NEPA Pizza Review is L'Oven this Pizza! 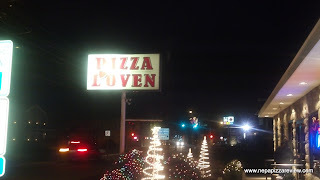 After at least 25 email, tweet, and verbal suggestions, I decided it was time to finally travel to the highly requested Pizza L'Oven. 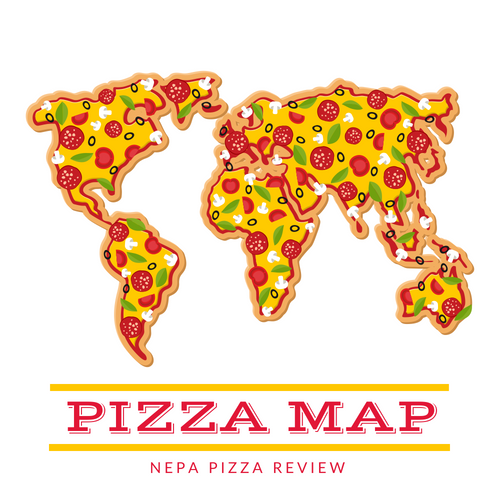 After all, I do write this blog for the readers, without you there would be no reason for me to travel around NEPA and writing about eating pizza! 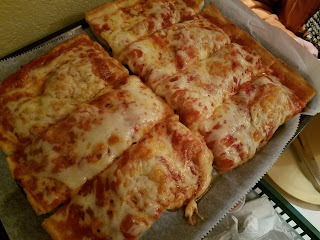 Since so many people hold this place in such high regard, I set my expectations pretty high, and to make sure I provided an honest and fair review, I teamed up again with my buddy the Scranton pizza expert. Even though we were out of his hometown, his opinions are usually right on regardless of location. When we arrived, we were both impressed with the very clean, very spacious, and very comfortable dining areas and bar. It was a very warm atmosphere where anyone would be comfortable from formal to casual. We were greeted by the friendly waitresses, which were working together to ensure that we got the best service possible, which is a big plus for me. We ordered a 7 cut "Deep Fried Sicilian" as I like to call it with no onions. We went without onions because my partner isn't a huge fan of them, and the last time I was down this way at Victory Pig, the onions were a bit too much for me. Anyway, while we were waiting for the pizza to come out, a waitress walked by with a giant bowl of hot wings which looked amazing and smelled absolutely mouth-watering, so we each grabbed 6 wings because we just couldn't help ourselves. When the pizza came out, it looked perfect and mouth-watering just as the wings did. I was impressed from the start even given that my expectations were set very high. The crust was magnificent, cooked to perfection with the deep fried effect from the heavily oiled pan. The oil was of good quality and lent an amazing flavor to the pizza which wasn't too greasy and was a real joy to eat. I very much enjoyed the healthy crunch and crispiness, and my co-reviewer agreed that it was an amazing crust even though traditionally the crust isn't his favorite component of a pizza. The sauce was flavorful and still had a bit of an onion flavor even though we left the onions out. Don't get scared if you hate onions, it was just a slight flavor, and I couldn't find any actual onions. The cheese was a basic mozzarella, but was melted so perfectly and created an outstanding flavor balance. If you can't tell by all of the superlatives I'm using, this pizza more than met my expectations, and kudos to all those who suggested I review it. Coincidentally, the wings were also quite good, and I'll be writing about those on my other blog some time in the near future. 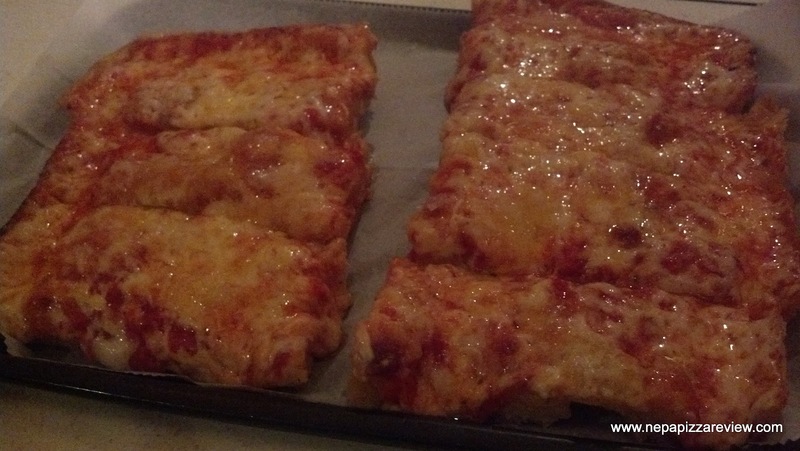 Bottom line: GO TO PIZZA L'OVEN. You won't be sorry.